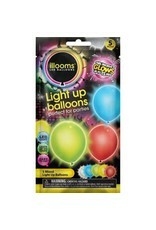 Illooms add a splash of color to any party! 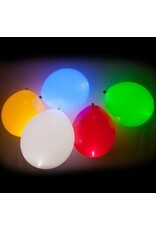 The pack includes 5 natural rubber latex light up balloons (orange, white, pink, yellow, and green). 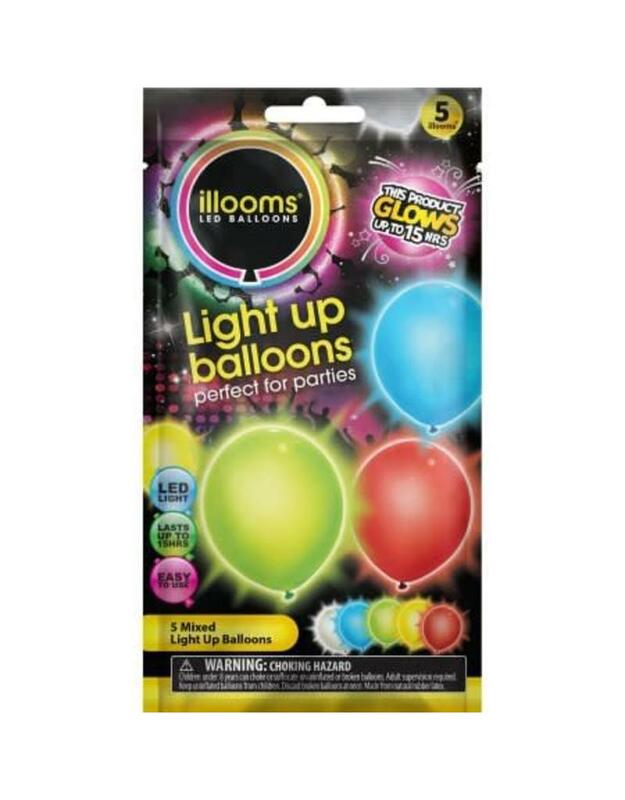 They'll last for 15 hours and feature an LED light. 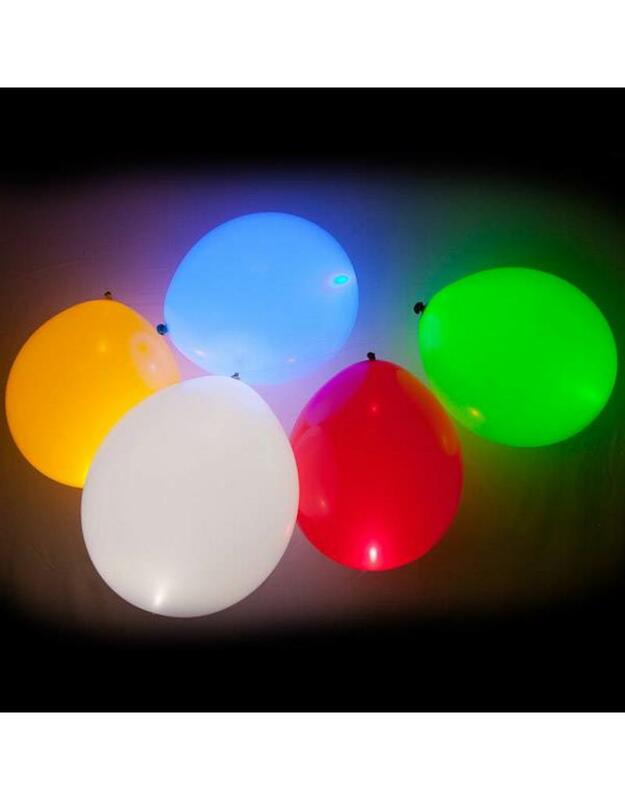 Simply pull out the tab to activate the LED and inflate the balloon! Adult supervision required for children under 8 years. Package measures 4.25 x 8.5.